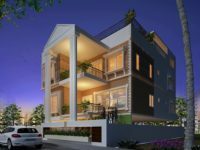 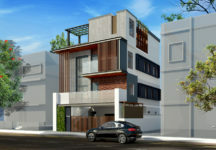 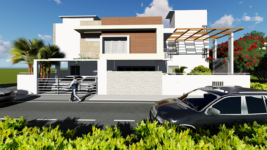 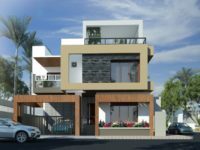 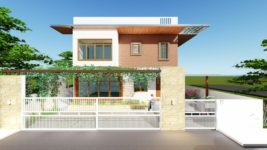 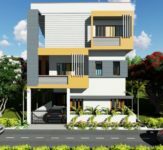 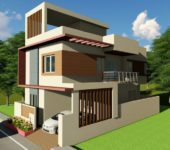 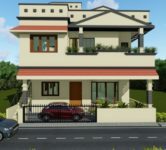 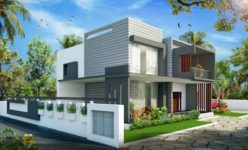 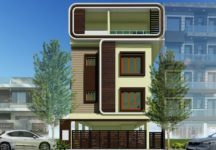 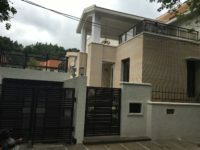 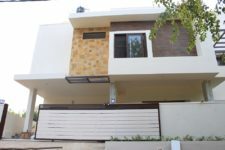 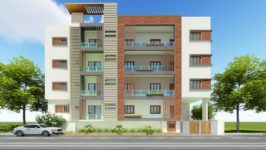 An independent contemporary style bungalow located in the suburbs of Bangalore. 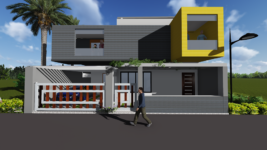 Concept: This contemporary style house is 3 storeys high with projected bay windows providing beautiful views towards the suburban environment around the house. 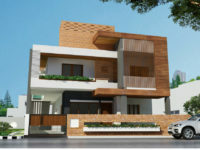 The projected slab with wooden decking enhances the overall look of the building and it also serves as chajjas to all the windows under it. 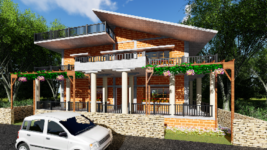 The pergola in front provides a semi covered shelter to the car parking space and is used to grow various creepers on it to provide shade.